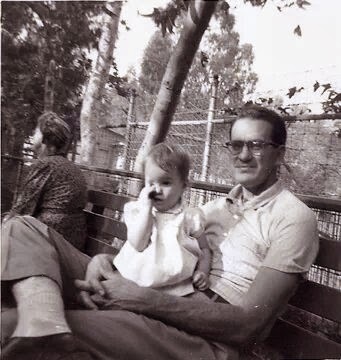 41 years ago today my dad passed away. I was 14. My dad was wicked smart, thoughtful, focused, kind, loving and driven. He was kind to most people while being quick to point out inequities, ways for improvement and ideas to make tracking and finding information easier. He wrote a dictionary, consulted on other publications and a 2 volume set of books on squemata. Whatever that is. My younger brother and I would hide in the coat closet when he arrived home, waiting to jump out and scare him. He always played along. He had friends who still, in recent years, tell me how much they miss him. He taught at respected universities, served on review boards for other people getting their PhD's, designed a database for scientists, and came home and made popcorn so we could all watch Get Smart together. I have 5 siblings, and each of us is convinced we were his favorite. He made time to spend with each of us...going to work with him on Saturday at the Smithsonian was one of my favorites. My dad was full of energy and ideas. He had thought or considered or studied most things and always wanted to learn more. My parents divorced when I was young and he had the good graces to be kind and respectful to my mother in her presence and when she was not around. He remarried and kept all of us together through many trials. As a teenager I still liked my dad. I liked to spend time with him, would ride along to the track with him while he ran, not because I was running but just to hang. I've had a rich and full and happy life. I've had the joy of seeing my daughter a young woman and the fun of her entire life. Everyday I'm tickled to still be here, to still get to do all that is my life. I've had times when the pain of his loss seems unbearable. Other times when I knew his guidance or input would have changed the outcome, when I've tried to remember what I think his response to my question might be. I've also had to unlearn some things my dad taught me. Because being a woman in 2013 needed some updating from what he was. I would have liked to share more of my life with him. It was not possible. I'm certain he made his expectations very clear and some I've achieved and some I have not.